Rich in detail and psychological depth, this historical novel of 18th-century Europe has plenty of contemporary resonance for American readers. 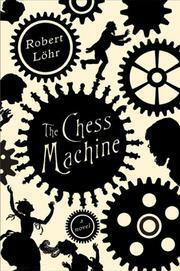 German journalist Löhr’s debut novel is based on a true story of deception, during a period when society was enamored with the previously unimagined possibilities of technology. A minor nobleman in the Viennese court, Baron Wolfgang von Kempelen witnesses the queen’s infatuation with automatons that can accomplish basic tasks. A charlatan at heart, Kempelen promises that, within six months, he can construct an automaton that will play chess at the highest levels. Such a thinking machine clearly presages the computer, but the baron has neither the ingenuity nor the intent to meet the challenge. Instead, he happens upon an Italian dwarf who is a chess master (but whose size makes him vulnerable to attacks from those who play or bet against him). Though the dwarf is also a devout Christian, uncomfortable with the deception that the baron’s scheme requires, the baron coerces him into secreting his tiny frame into the chess-playing machine that Kempelen is building. Billed as the Mechanical Turk, a dark master from the inscrutable East, the chess-playing automaton becomes the rage across Europe, though at least one rival for the queen’s favor suspects the subterfuge. There’s an undercurrent of ethnic tension throughout the novel, with the exotic Turk, the Christian dwarf, the amoral Kempelen and his Jewish assistant embodying distinctions of class and religion, while the attempts to penetrate the secrets of the automaton result in espionage, deception, seduction and perhaps murder. Ultimately, the major characters seem to be enacting a real-life game of chess, one in which winning or losing has the most serious consequences. In the author’s notes that end the novel, Löhr explains what is based on historical record and what he has invented, but this is a work of such marvelously creative imagination that it makes little difference what’s factual and what isn’t—it all rings true.